At Advanced Dental Concepts our philosophy is to provide treatment to the whole person - with a special focus on how your teeth and gums relate to your total body health. We want you to be confident that your smile achieves your goals for comfort, function and appearance. We're here to make that happen. Advanced Dental Concepts offers a full range of general & cosmetic dental treatments at our office to help you achieve your perfect smile, such as root canal treatment, dental veneers, teeth whitening treatment, and dentures. We utilize the latest in dental technology, techniques, and highly skilled technicians, in order to offer you the best preventive care and treatment available in Andover. We also understand that choosing a dentist is an important decision. After all, your smile is your greatest asset and says a lot about your overall health. Dr. Richard Hopgood has many years of experience with veneers, crowns, bridges, teeth whitening, TMJ, laser dentistry, root canals, extractions, dentures and all of your cosmetic dentistry needs. Dr. Hopgood provides cosmetic dentistry in a caring environment for you and your whole family. With state of the art equipment, Dr. Hopgood is able to complete most procedures in a single visit, keeping you comfortable and relaxed during the whole procedure. Dr. Hopgood has successfully completed many full mouth restorations and cosmetic cases such as veneers, crowns, bridges, and teeth whitening on the front teeth boosting his patients' confidence, enabling them to smile more. Let Dr. Hopgood and Advanced Dental Concepts be the Andover dentist to make your smile beautiful! Are you in need of a full mouth rehabilitation? Veneers on your front teeth? Do you have brown spots on your teeth that you wish weren't there? Do you have receding gums? Do you have bad breath?Advanced Dental Concepts can help! Dr. Hopgood can make those spots disappear, replace old silver fillings to make your smile bright and white and get you back on track with your oral health care to prevent gum disease and bad breath. Advanced Dental Concepts serves the greater Boston area including Andover, North Andover, Tewksbury, Dracut. Haverhill, Chelmsford, Wilmington, Boston, Salem NH, and all surrounding areas. Advanced Dental Concepts is easy to find; the office is located on Rte. 133, right next door to the IRS, just off of Route 93, exit 43 Andover. 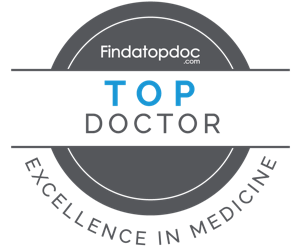 Dr. Hopgood has been in this convenient location for over 32 years. Let us be your Andover dentist! If you or anyone in your family is looking for expereienced dental care in or near Andover, MA, call us today at 978-475-2431!